G. William Domhoff. Photo by Jennifer McNulty. Since he retired as professor of psychology and sociology in 1994, Domhoff has pursued two scholarly interests--dreams and power relations--with the zeal of a graduate student. His contributions were recognized this month when Domhoff received the University of California's Constantine Panunzio Distinguished Emeriti Award. The award, which honors the postretirement contributions of UC faculty, was presented this year to Domhoff and Robert O. Collins, professor emeritus of history at UC Santa Barbara. "Coming to UCSC gave me total freedom, and retiring early gave the time to focus on my research on dreams and power," said Domhoff, a pioneer in two fields, the study of U.S. power relations and the theory and practice of quantitative dream analysis. He retired at the age of 57 as part of an early-retirement incentive program created by UC during the budget crisis of the early 1990s. Domhoff is widely regarded as the foremost authority on the structure of power in the United States. His book Who Rules America? is a classic in the field of sociology. A fifth edition and an accompanying web site, whorulesamerica.net, were published in 2006. Two new books, Diversity in the Power Elite and Blacks in the White Elite, coauthored with R. L. Zweigenhaft, examine how people get to the top--or not--when they are from groups that have previously had limited access to power. Domhoff traces his fascination with power to the early 1960s, when the civil rights movement and social unrest sparked an awakening. "I grew up in an apolitical family in the Midwest, and power was never a part of my life until the 1960s," he said. "I began to read about the upper class and the power elite, and it opened up a whole different world." In his 2003 book, Changing the Powers That Be, Domhoff attempts to reorient citizen-activists and intellectuals toward policies and strategies that have been largely overlooked. Harvey Molotch, a sociologist at New York University, described the book as "passionate in the best sense of the term--heartfelt urgings from someone who has invested a scholarly lifetime in efforts to figure out what is really going on and how to change things for the better." 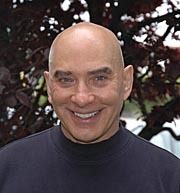 Since retiring, Domhoff has also published two books and about a dozen articles and book chapters on dreams, including the books Finding Meaning in Dreams (1996) and The Scientific Study of Dreams (2003). Domhoff has continued to teach, both at UCSC and at various other universities. In 2004, he was elected chair of the political sociology section of the American Sociological Association. He is currently working on an academic book about rival theories of urban power structures that focuses on the city of Santa Cruz. "Santa Cruz is the only city in the country that has been run by leftists for 25 years," he said. "Just about every other city in the country is run by landowners, developers, and downtown business interests." Domhoff has a bachelor's degree from Duke University, a master's degree from Kent State University, and his Ph.D. from the University of Miami. He began his career as an assistant professor of psychology at California State University, Los Angeles. The Constantine Panunzio Award, which carries a $5,000 prize, was created in 1983 by a bequest from Panunzio, a UCLA sociology professor who has been described as the architect of the UC Retirement System. The award honors outstanding scholarly work and/or educational service since retirement by UC faculty emeriti in the humanities or social sciences. Nominations are submitted to each campus's Emeriti Association, reviewed by campus provosts, and presented to a board of directors that selects the recipient(s). Domhoff's fellow recipient, Robert Collins, is a recognized world authority on Africa, with particular expertise in the Sudan and the Nile River. He has shared his expertise with scholars, as well as with governments, the news media, filmmakers, and television producers. Collins has published 15 books since he retired in 1994.